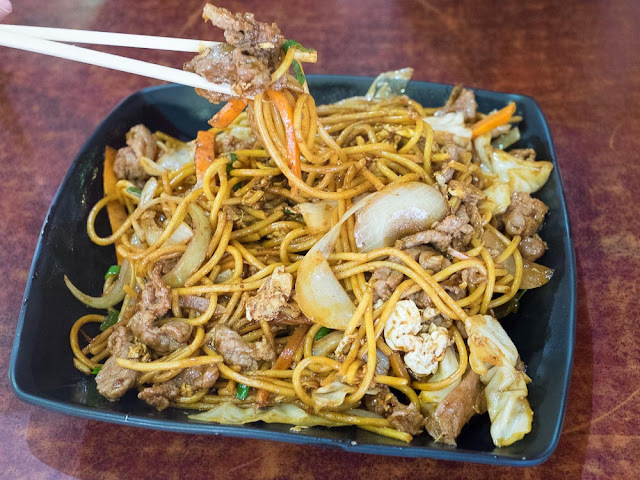 Cantonese seems to be the boring family member of Chinese cuisine at the moment, the brash heat and spice of Sichuan and northern fare more thrilling and new. Zan Bou in Sussex Centre makes a case for retrying the more subtle flavours of southern Chinese cooking. Wholesale renovation has taken place in Sussex Centre Food Court, with a number of stalls given a makeover and some new ones to boot. 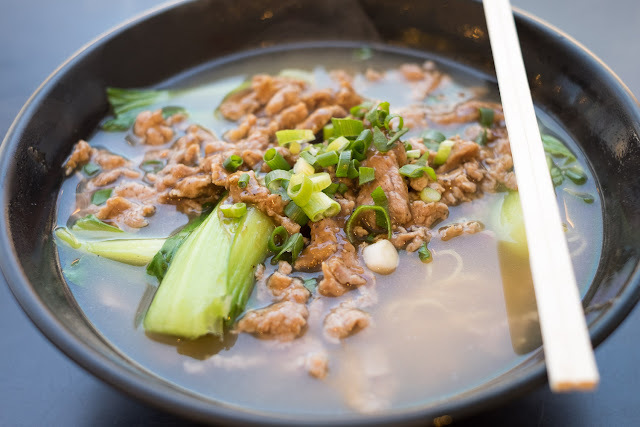 We've seen a fair amount of new places offering spicy Sichuan xian mian, dumplings and rou jia mo in the past few years, with newcomer malatang hot on their heels. It's a welcome return to some Cantonese food with the opening of Zan Bou, and we like it. 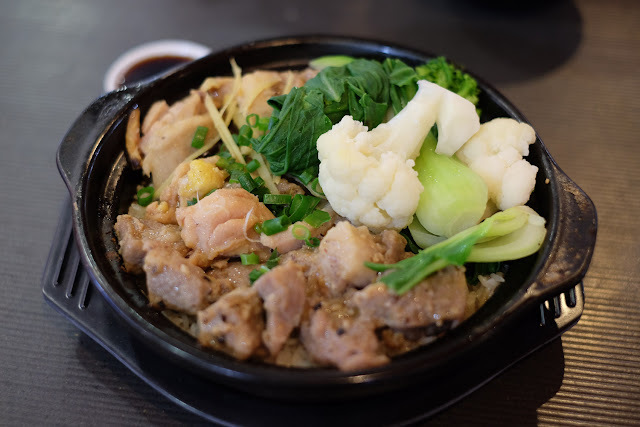 Hot Pot Rice is the main feature of this stall, with a number of options of steamed meat and veg in a claypot. 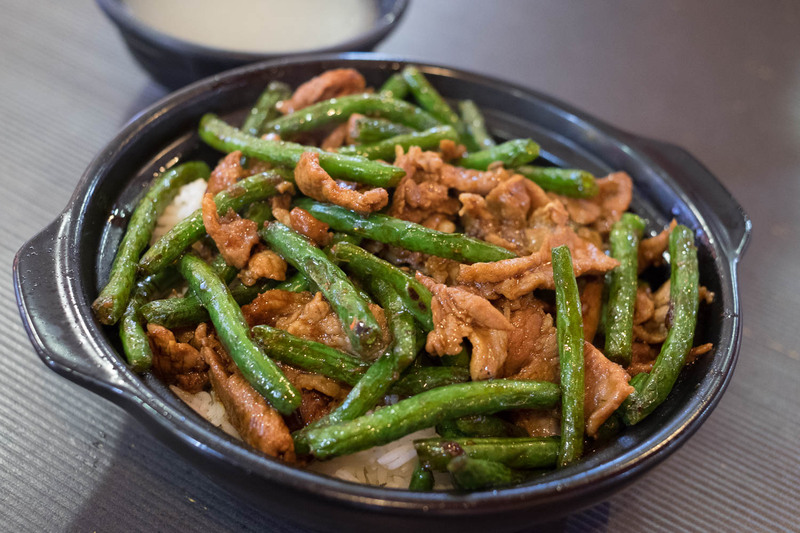 Green beans and pork with rice ($9.80) is a mix of soft, velvety slices of pork mixed with wok fried green beans. 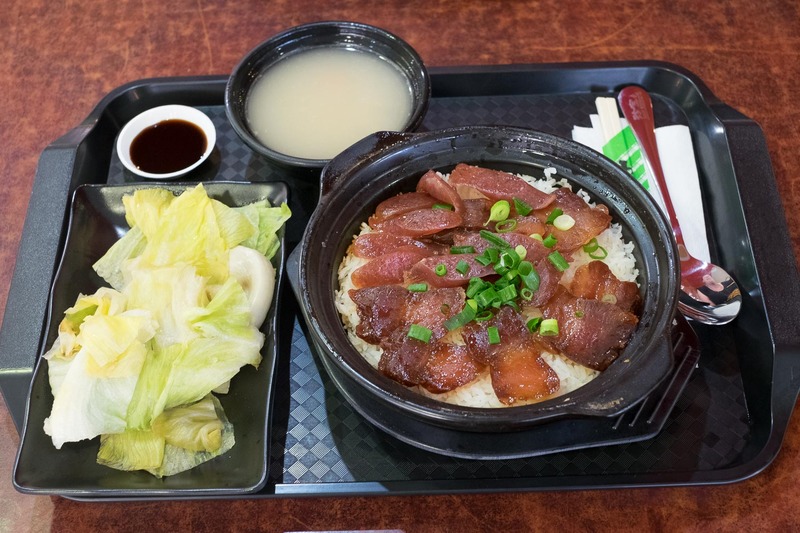 This dish is usually a minced pork variety, so the larger pieces really made it a substantial serve. For a more stately fare, we also tried the King ribs and yellow skin chicken hot pot rice ($13.80). The two meats and vegetables in this dish are gently steamed, the rice below capturing the flavours. While the chicken pieces are delicious, it's the king ribs that are the star of the show. Tender and slightly peppery, the comes away from the bits of bone and cartilage with an oh so gentle tug. 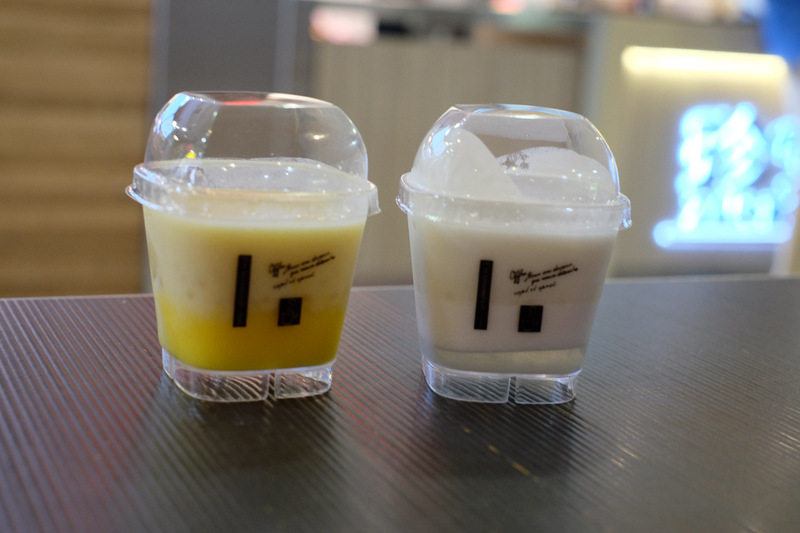 There's some quick ready to go desserts in the cold cabinet, mango pudding sago soup and coconut cake sago soup at $2.50 each. They are softer than pudding, almost drinkable. We're back later to try out more of the soups. The black pepper beef noodle soup had a pepperiness that buzzed the tongue, we were surprised at how peppered it was. This isn't Sichuan pepper crazy tongue, it was true pepper heat. Shawn is sure he's tried a lesser half assed version of this in Hong Kong, so this is a real winner to us. Good noodle bite to boot. One of our favourite congee styles is preserved egg and sliced pork ($9.80). 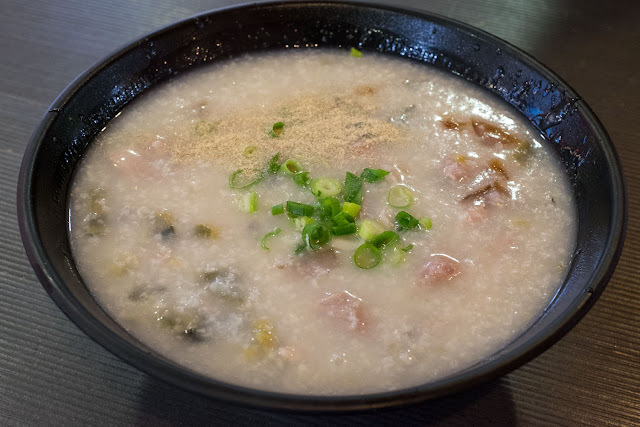 This is a generous bowl of well flavoured rice porridge, filled with that same soft pork as the green bean and pork hot pot. We add a dash of white pepper as a favourite congee topping, there's a pepper theme here that we love. 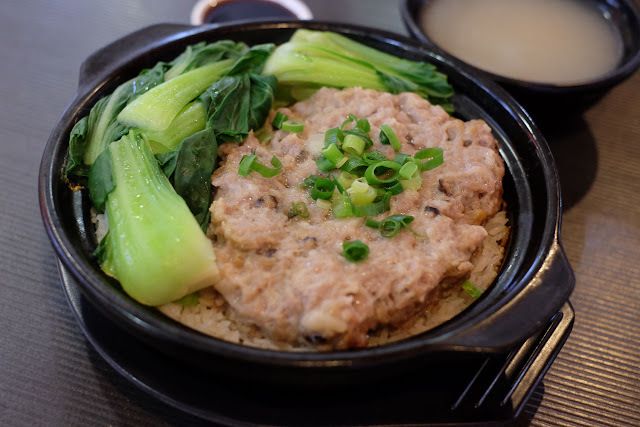 To add to Shawn's passion for great rissoles of the world, this hand ground pork patty hot pot rice ($13.80) fits the bill. The patty is soft and well spiced, breaking apart easily into chunks. Having it steamed instead of fried gives it a different texture and a gentler flavour, which also soaks into the rice below. Spaghetti is a favourite of Hong Kong and Cantonese menus, as in many Japanese dishes too. It's just noodles, right? Here the pasta is stir fried with black pepper beef to make a post beer guzzling worthy meal, lardy, hot and satisfying. There's a chicken variety as well. 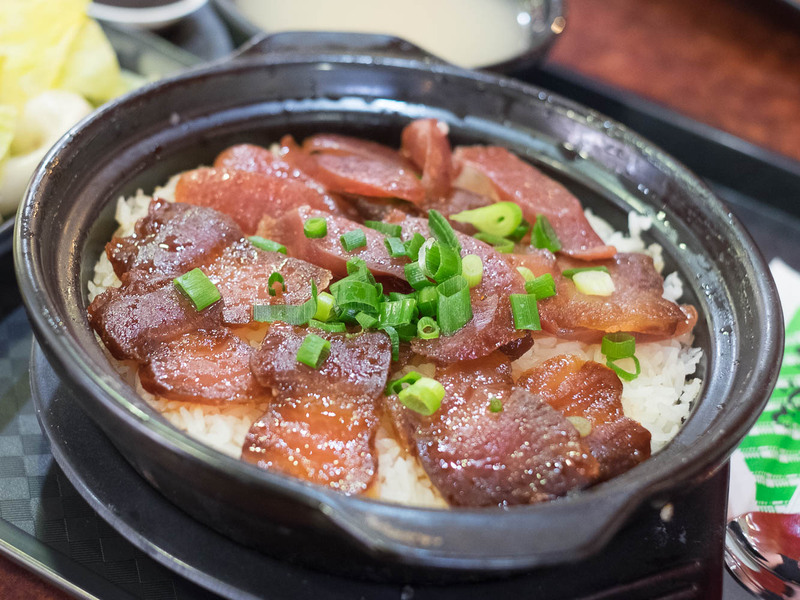 More hot pots, this one featuring preserved meat, a selection of slices of Chinese sausage and bacon/ham like slices of pork. The meat was slightly sticky and sweet, sitting in a neat layer abover the rice. An extra drizzle of thick soy added to the flavours which aren't as pronounced as the other steamed meat dishes, and a final dollop of chilli sauce towards the end changes the flavour of the meal altogether. We'll often eat halfway through a dish before adding chilli, it's like giving it a second run. A large serve of cabbage cuts the meat-a-rama of the hot pot, most dishes also come with a bowl of soup that sometimes has cubes of carrot and veg hidden at the bottom, and best drank as soon as served and piping hot. 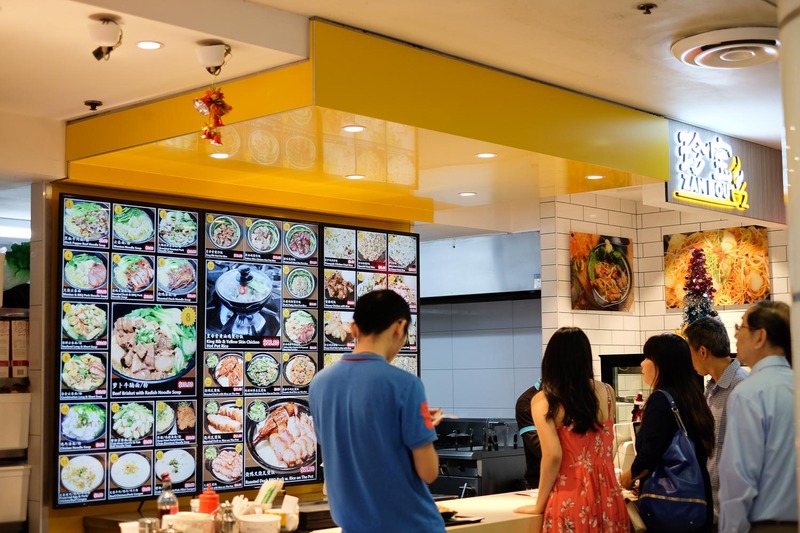 Zan Bou is in Chinatown's glorious Sussex Centre Food Court, head up the escalator to Shop F5 at 401 Sussex Street.